Given UNSD’s recent work with the EAC member states in conducting a Pilot Questionnaire on Electronic Waste (E-Waste) Statistics in collaboration with the United Nations University (UNU), a one-day Meeting focusing on E-Waste Statistics will be organized by UNU back-to-back with the Final Workshop and be held in Arusha, Tanzania on 28 October 2017. This meeting shall help improving data availability and quality in Africa. As part of the Development Account Project on Supporting Member States in developing and strengthening environment statistics and integrated environmental-economic accounting for improved monitoring of sustainable development, the United Nations Statistics Division (UNSD) will organize the Final Workshop on Environment Statistics for the East African Community (EAC) member states in Arusha, Tanzania from 23 to 27 October 2017. The Workshop will focus on discussing the progress in the implementation of the FDES 2013, finalizing a regional environment statistics compendium and finalizing a list of regional indicators based on EAC policies which will help countries prioritize their work to improve regional integration. The countries will present the results made in environment statistics during the project. They will also share their experiences by presenting the main challenges they faced and how they overcame them. Other topics related to environment statistics will be presented, such as climate change statistics. 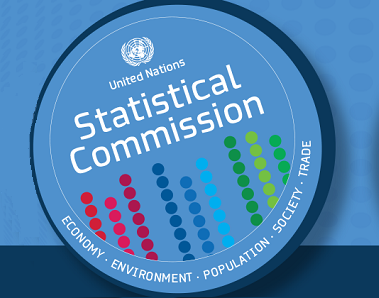 As part of the Development Account Project on Supporting Member States in developing and strengthening environment statistics and integrated environmental-economic accounting for improved monitoring of sustainable development, the United Nations Statistics Division (UNSD) will organize a regional workshop for the East African Community (EAC) member states in Arusha, Tanzania from 27 to 31 March 2017. The Workshop will focus on discussing the progress in the implementation of the FDES 2013, developing a list of regional indicators, and reviewing of data availability for the environmentally-related SDG indicators. The countries will present the progress made in environment statistics since the project’s inception. They will also share their experiences by presenting the main challenges they faced and how they overcame them. A draft list of regional indicators according to the EAC policies will be presented. The countries will discuss their relevance and data availability in their national context in working groups. A review of data availability for the environmentally-related SDG indicators and plans for filling gaps will be conducted. As part of this work, best practices in environmentally-related censuses and surveys will be presented. UN DESA’s Statistics Division is organizing a sub-regional workshop for the East African Community (EAC) countries, entitled “Environment Statistics in support of the Implementation of the Framework for the Development of Environment Statistics (FDES 2013)” led by the Division, in collaboration with the EAC Secretariat. It will take place in Arusha, United Republic of Tanzania from 6 to 10 July 2015, with hosting and on-ground support being provided by the EAC Secretariat and the United Republic of Tanzania. Several other international and inter-governmental organizations will be participating in the Workshop, including the United Nations Environment Programme (UNEP), the United Nations Economic Commission for Africa (UN-ECA) and the Common Market for Eastern and Southern Africa (COMESA).